Chaplain Says Officials Ordered Him To Cover Christian Symbols In VA Chapel-Truth! - Truth or Fiction? Chaplain Says Officials Ordered Him To Cover Christian Symbols In VA Chapel-Truth! Chaplain Says Officials Ordered Him to Cover Christian Symbols in VA Chapel – Previously Truth! Now Resolved! 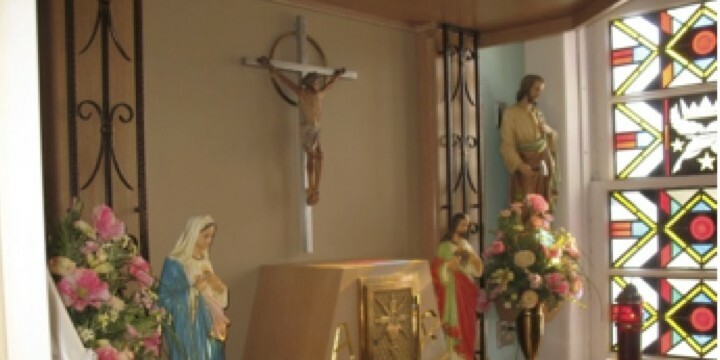 The Veterans Administration (VA) ordered that Christian symbols and statutes in a chapel at the Oscar G. Johnson VA Medical Center in Iron Mountain, Michigan, be covered when the chapel was not being used for Christian services. 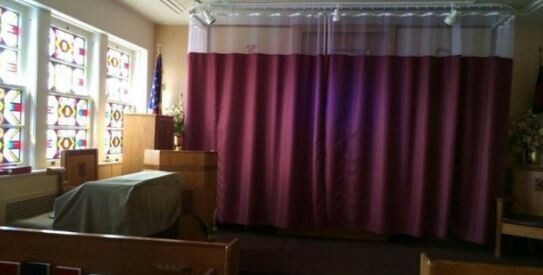 It’s true that Christian symbols were once covered by a curtain when Christian services were not being held in the chapel at the Oscar G. Johnson VAMC, but that policy is no longer in place. The story went viral in the spring of 2014 after a number of news outlets reported that the VA facility in Iron Mountain was not in compliance with a 2008 federal regulation that requires houses of worship to be nonsectarian. The story went viral again in early 2015, so TruthorFiction.com followed up with staff at the Oscar G. Johnson VAMC for an update. But VA medical facilities must still comply with the Spiritual and Pastoral Care Procedures. 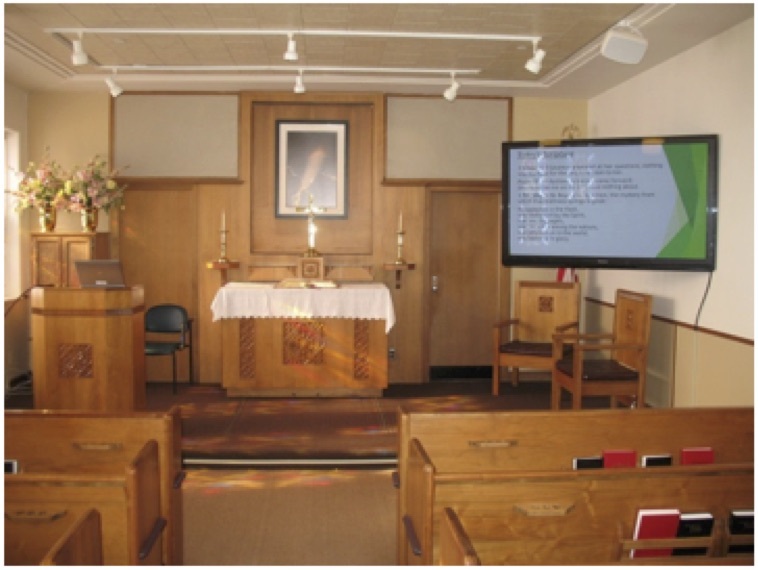 Today, Christian symbols are allowed in the main chapel while Protestant and Catholic services are being held, as well as 24/7 in the Holy Sacrament room located inside the chapel, Nelson said. And there aren’t any specific directives that prohibit the use of scripture or religious items like the crucifix and statues of Jesus and Mary during worship services in the main chapel — but they can’t remain there 24/7. “These religious items are put away between chapel services, however, they are accessible for any group or individual wishing to use them in the chapel for their own prayer, meditation or worship,” Nelson said. Several versions of the Holy Bible and Catholic Rosaries are also available in the chapel. I went to the VA Hospital in Iron Mountain today on business. While there I stopped at the Chapel and found pinky-purple curtains with mesh at the top, covering the altar. (You know the type. They use them between sick patients in the hospital). I stopped in my tracks, shocked at what I saw. 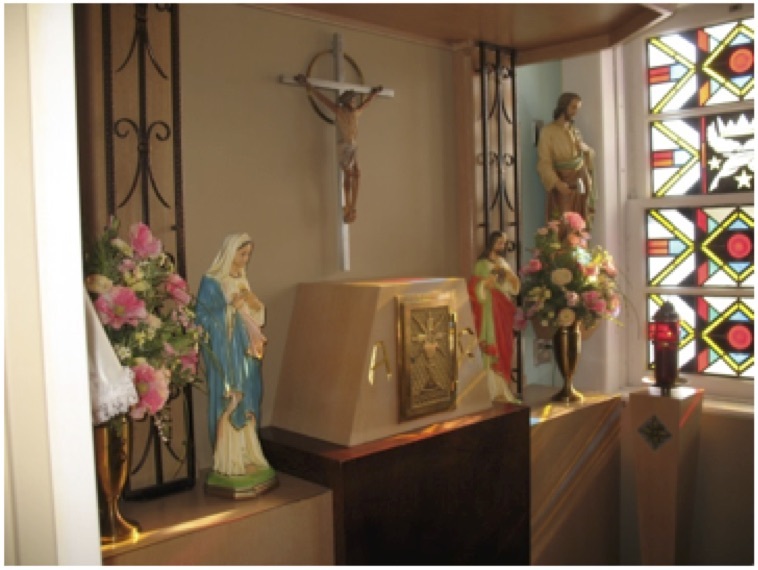 I peeked behind the curtain, and found what used to be the welcoming part of the chapel, the Cross, a picture of Jesus, and other Christian icons familiar to the majority of Americans. I found Chaplain Bob Mueller, to ask what the meaning was of this change. This is what he told me. “A couple of months ago, an order came down from Washington DC to cover all things associated with Christianity in the VA. Their solution is to cover everything in all the VA Chapels across the country.” Chaplain Bob went on to say, “A few weeks ago an official from the Madison VA came down here to tell me to ‘stop talking about Jesus, and to stop reading Scripture out loud.’” Chaplain Bob also said that the rest of the Obama plan is to send more curtains to cover the rest of the stained glass windows, because there are Christian symbols on the stained glass. These photos reveal future plans by the White House. To use the same phrase President Obama so ‘eloquently’ used concerning other matters at the VA, ‘I’m mad as hell…” As Americans, we need to stand together to stop this insanity. Muslim Shirt Depicting Twin Towers in Flames–Unproven! Why Women Should Vote and The "Iron Jawed Angels"-Truth!